The House Finch was once restricted in range to Mexico and the American Southwest. But many of these finches were trapped and shipped east, to be sold in pet shops as “Hollywood Finches.” Some of them, released on Long Island in the 1940s, formed the nucleus of the eastern US population that has spread westward. 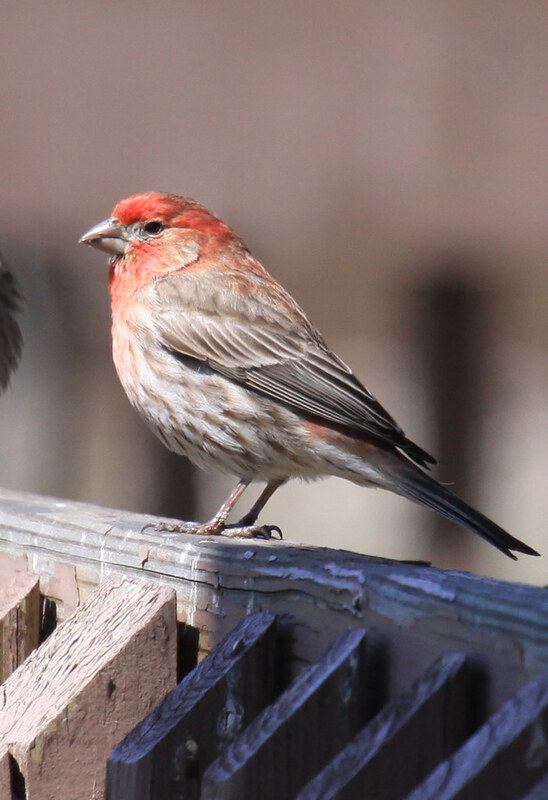 House Finches were also introduced to Hawaii by 1870 and are well-established there. Releases of this and other species in the Hawaiian Islands were the source of diseases that native Hawaiian birds had never before been exposed to; most of the state’s native species have been decimated by habitat loss and disease.